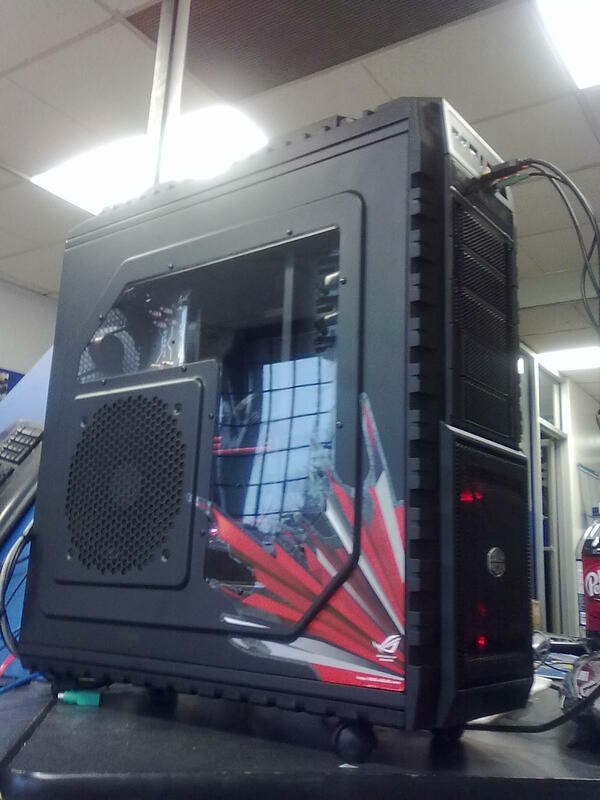 All systems are just possible starting points for you’re own Custom PC. Don’t like something about what’s shown here? Let us know and we’ll make a quote that fits you. DESTROY YOUR ENEMIES WITH IT'S ATOMIC FIRE BREATH!! Built January 2011, this Gigantic gaming gargantuan blows away the competition with it’s dual HD6950′s custom tweaked for an extra performance kick without having to blow out the wallet. 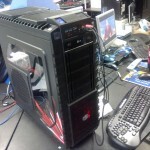 By going AMD this system keeps up with Intel systems twice as expensive! The Silence is Golden, Audio Editing, Gaming Rig OF DOOM! 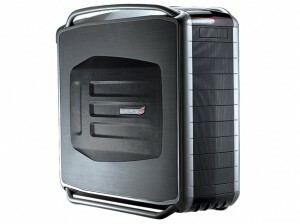 This system is a good example of why AMD holds the top spot for performance/price comparison. 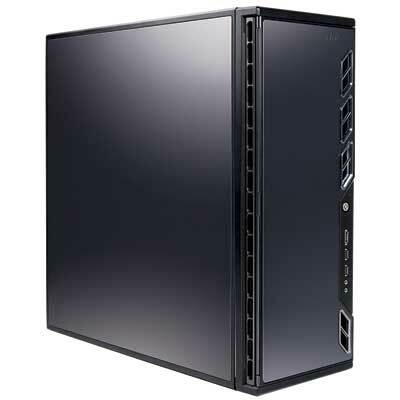 You’re normal high end gaming rigs have quad cores, others have hyper threading to try and emulate more cores but this sucker is better than that! This system has a PHENOM II X6 1090T with 6 full cores running at a blazing fast 3.2ghz per core!! You think Intel’s Core i7 is fast? AMD’s latest processor BEATS all but 2 of Intel’s latest and greatest! 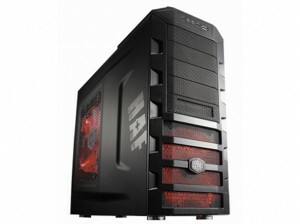 That’s not all though, this system has one of the fastest gaming cards money can buy, The 2GB Radeon HD 5970!! With the latest DX-11 Tessellation technology this computer makes games look so good, you’ll have trouble telling the games from reality!! 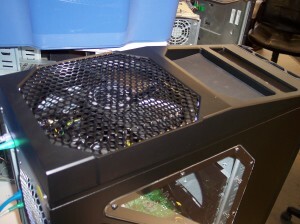 This case doesn't just use one fan, it uses 4!! If that ain't enough, it has room for 2 more!! 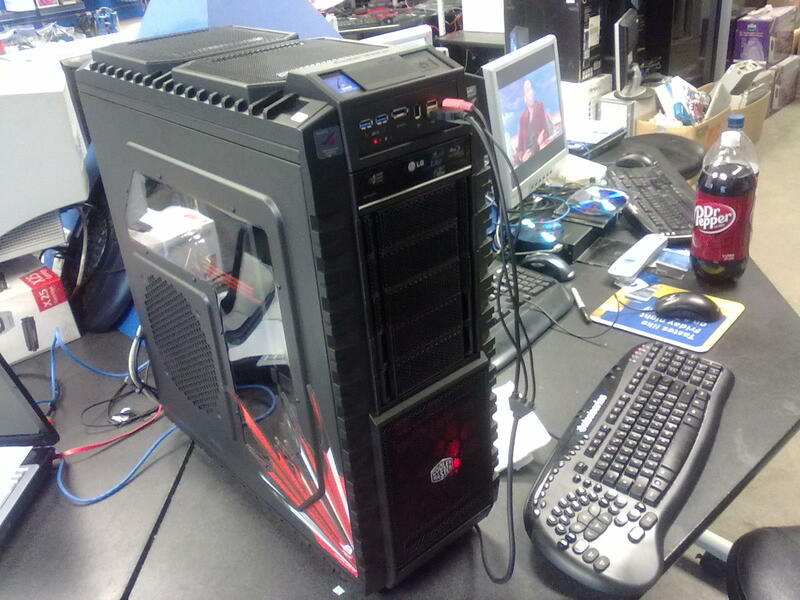 This ain’t no pu$$y PC, it’s 100% packed with POWER!! 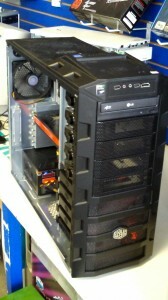 With two 1GB NVIDIA 9800 GT graphics cards, it’ll take your games and spit ‘em out like Nothing!! 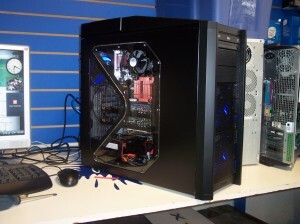 If you want a computer you can use to show off to those dumb Console gamers but don’t want to break the bank, this is the PC to buy!! To top it off, this case has a GIANT 200mm top exhaust fan!! Spore isn’t a very demanding game, so we can definitely make a machine that can play it for less than $1000. 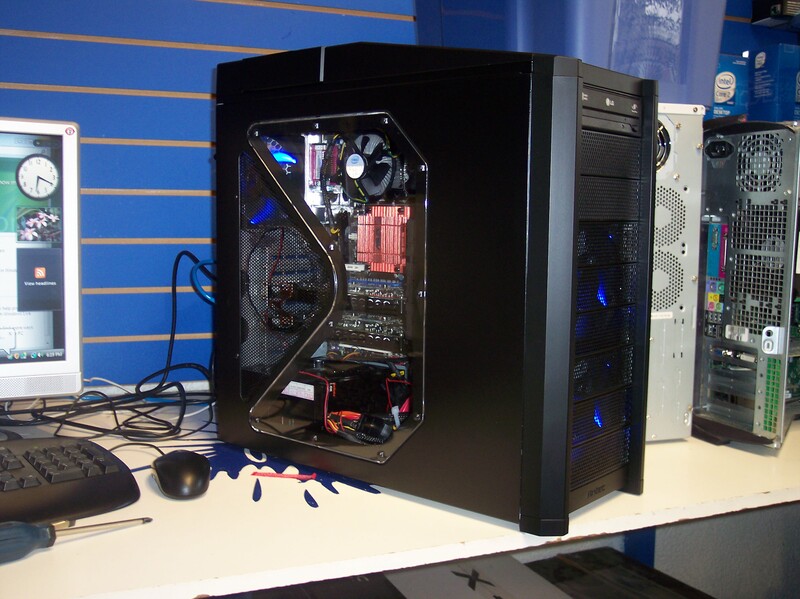 The $999 machine we have as an example above is designed to be able to play the latest PC Games, if Spore is the newest game you want to play we can build you a machine with a slower GFX card to lower the price. What has your experience been, reguarding the proper installation and thus proper performance of SSD’s in your custom systems?? SSD drives are a little difficult to use effectively with modern games, as they easily fill up a SSD drive with only a few installed games (~15gb each + 10gb for Win7 64bit) so it’s not a good Idea to install games on them if it’s also your boot drive as that will cause problems when you run out of space. This is what I would recommend for a setup using SSDs. The SSD is set as the boot drive and I also install a 1tb WD Caviar Black to use for videos, games, torrents and for things like Steam or G4W Live. This way SSD speeds up windows boot up, as well as the loading times for normal programs, but it won’t speed up the games. This is where the 1tb hard drive comes in, the 1tb Black is one of the fastest traditional hard drives around, while not as fast as an SSD it will still boost the loading speed of games. If the customer plays one game more than others (like WoW or something) I would install that on the SSD so that one game would get the benefits of a SSD. Overall most of our customers have decided not to go with SSD drives as most are too small to use with a lot of newer games. There are some larger SSDs that are big enough but these can easily run over a grand just for 1tb.